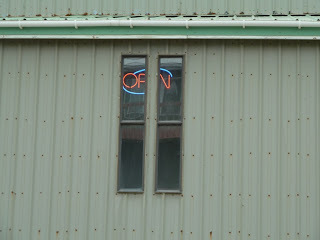 Sand Point has one restaurant and two cafes, both of which seem to be closed more than open, at least when we needed them. 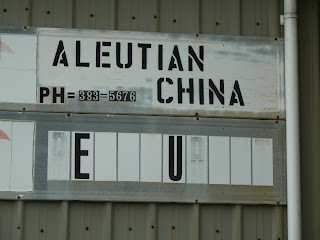 Above, the sign for the Aleutian China, which you might guess serves Chinese food. Throughout the week we were fed our three squares at culture camp, but on weekends, that is Saturday and Sunday we were off and had to fend for ourselves, so our choice was primarily, the Aleutian China. 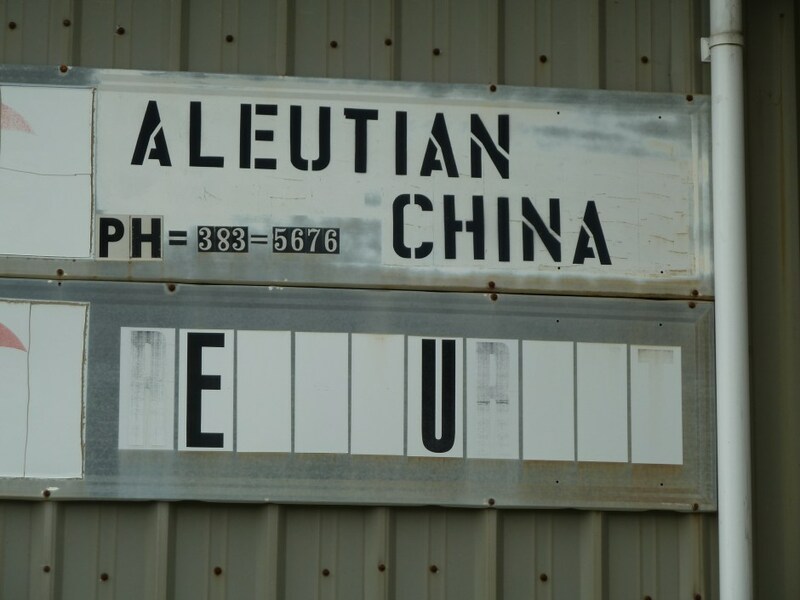 I was prepared for the worst, but the cooking at the Aleutian China was actually pretty good. 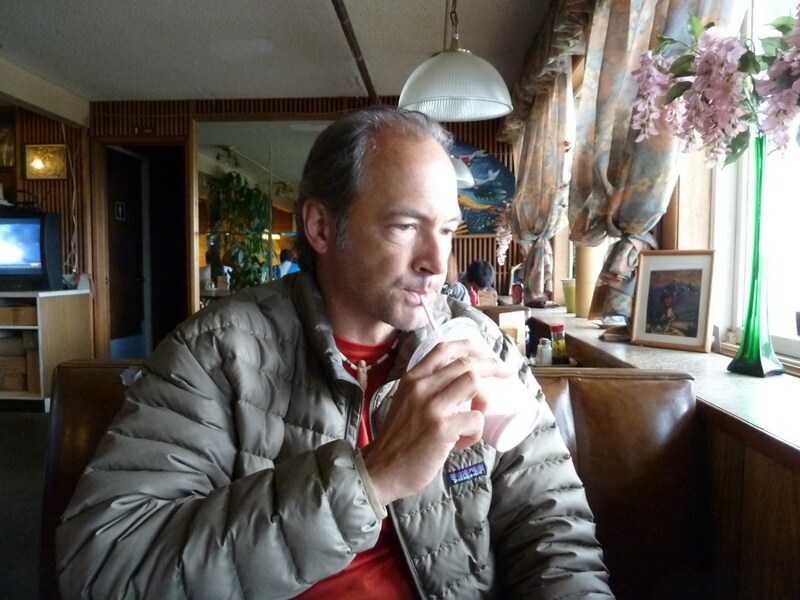 I have tasted worse here in the SF bay area. 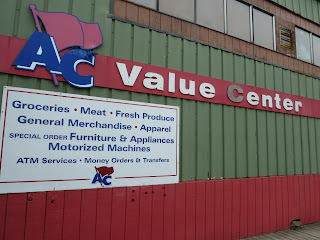 The Aleutian China is locatated in the same building as the AC Value Center. 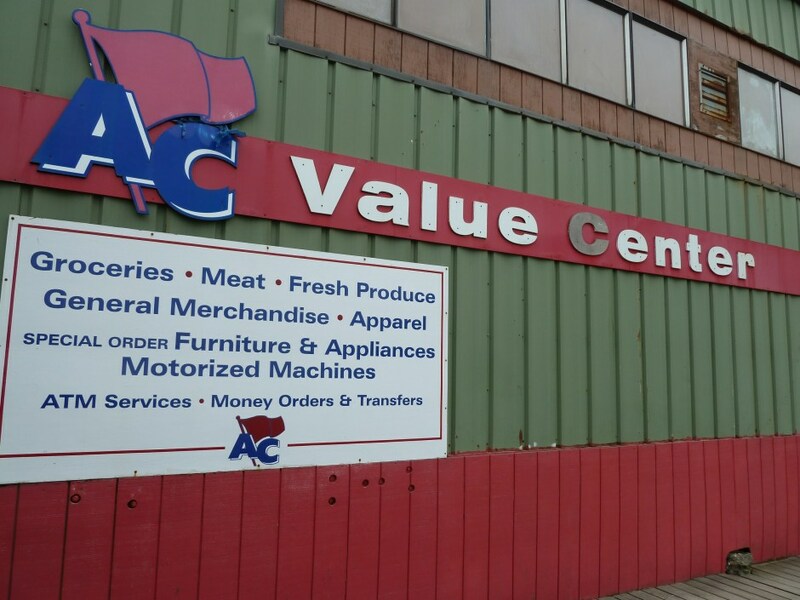 The AC Value Center is both a super market, check cashing center and general merchandise emporium. 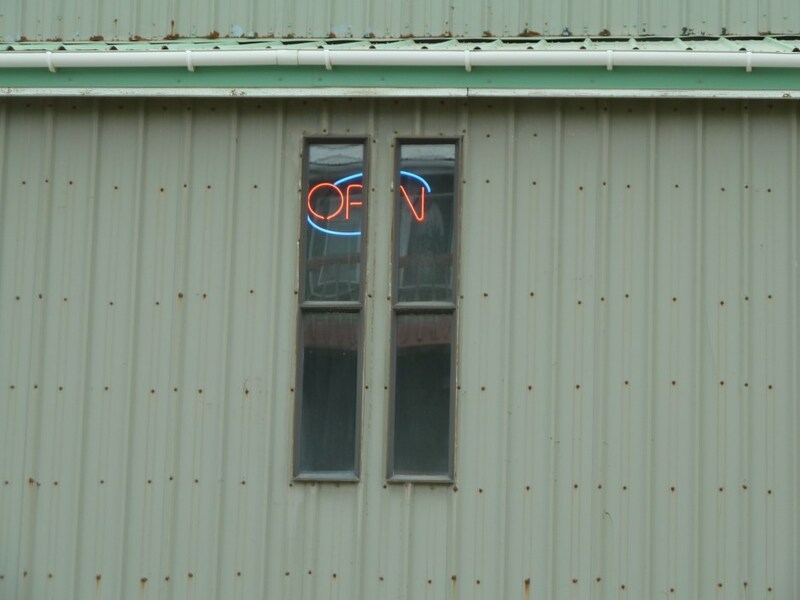 This sign here indicates that the Aleutian China is open for business. Here is John sucking down a milk shake for desert. 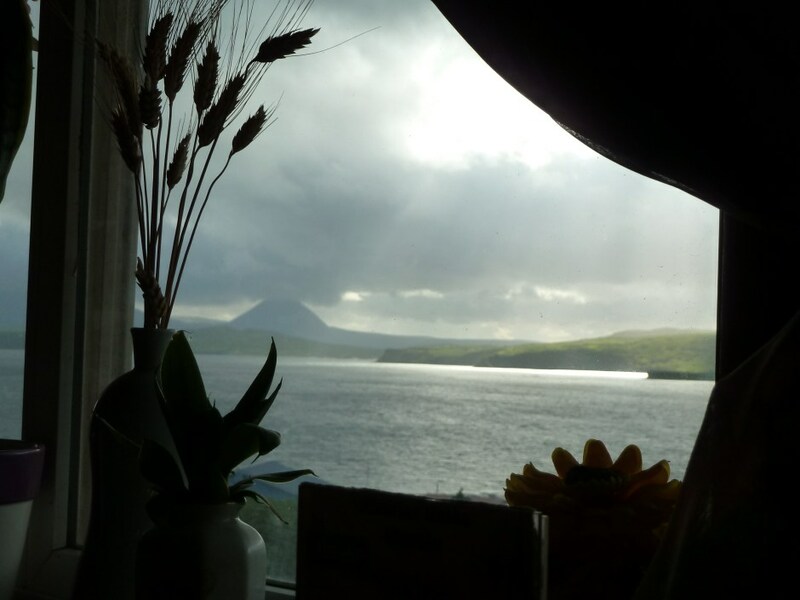 And finally, a view of Unga Island out the window.